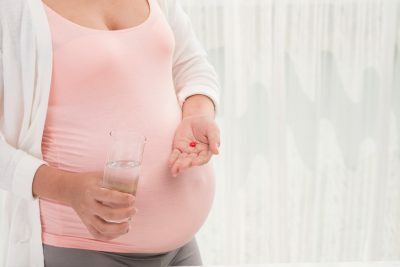 Multivitamins and mineral supplements are commonly hawked to pregnant women in order to promote optimal health for them and their eventual newborn. However, the actual evidence for most of these purportedly preventative treatments is not enough to support their use, according to a review published by the British Medical Journal. While folic acid and vitamin D were able to withstand scrutiny, not enough evidence was found to recommend the use of iron, vitamin C, E, A, and multivitamin supplements. Pregnancy has always been a time where women are given a plethora of advice, folklore, and other guidance meant to ensure a healthy birth and the wellbeing of the baby. Neural tube defects, pre-eclampsia, low birth weight, premature delivery, heart defects, developmental disorders, intestinal issues, and much more form the specters that haunt the advocacy of vitamin and mineral supplements. It is natural for an expectant mother to want to do everything in her power to help her child, so if an extra pill or two each day can avoid long term health consequences, it’s an easy decision to make. Easy, but not necessarily supported. The BMJ researchers combed through the available research and sought out the most reliable and consistent evidence that could justify the use of various mineral and vitamin supplements during pregnancy. The results for folate, also called vitamin B9, was unsurprisingly the strongest and a daily dose of 400 micrograms was encouraged for women who are trying to be pregnant and until the twelfth week of pregnancy. This is consistent with most guidance provided by the health agencies of other nations. Vitamin D supplementation had the second-strongest support, though potential benefits were not as clear when randomly controlled, blinded trials (the gold standard of scientific research) were assessed. In the end the researchers recommended 10 micrograms of vitamin D throughout pregnancy and breastfeeding. For all other types of supplements covered in the study, no compelling evidence was found to recommend their use to pregnant women. At best, to quote The Big Bang Theory, such supplements would simply produce more expensive urine. Pregnancy is a time when a woman’s body becomes a cauldron of life and numerous vitamins and minerals are drawn from the mother to support the child. While women should strive to maintain a healthy diet and keep up on their intake of iron, calcium, vitamin C, and so forth, there isn’t enough evidence to say that going above and beyond using supplements provides any extra benefit. Sticking to folate and vitamin D, a balanced diet, and only using other supplements as prescribed by a doctor for a genuine need, is ultimately the best option—or at least the one with the best evidence. Kmietowicz, Z., “Multivitamin and mineral supplements in pregnancy are unnecessary expense, review finds,” British Medical Journal, 2016; 10.1136/bmj.i3821.